Excavated from an archaeological site in modern-day Israel, this ancient glass dates back to the period of the Romans who were master craftsmen in the glass industry. Treasure each creation as your own unique piece of history. 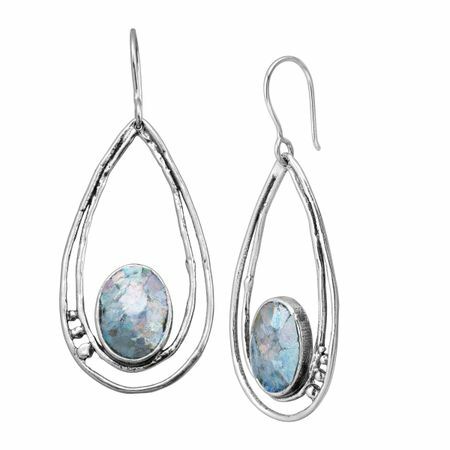 Ancient Roman glass stations are set at the base of these pear-shaped drops, formed by textured strands of sterling silver and accented with small beads on either side. Earrings measure 2 1/4 by 15/16 inches and feature French wire back findings. Pieces come with ".925" sterling silver stamps as symbols of guaranteed product quality.